Dr. Vikas Jain obtained his Ph.D. (2008) in Pharma science and M Pharm (2003) at Dr. H.S.Gour University Sagar and CDRI, India. In 2001 he obtained PG Diploma in Pharm Drug Regulatory and Clinical research and analysis at Bioinformatics Institute of India and Catalyst Clinical Ser, India. Currently he is working as Assistant. 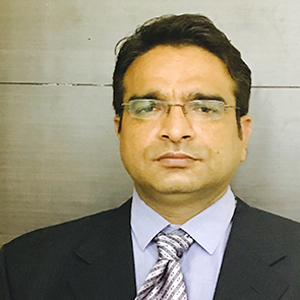 General Manager at Alembic Research Centre Vadodara, India. He has published more than 10 publications in national and international journal.